2018 will surely redefine innovation for the retail industry and news trends are going to reshape the sector. Let's see what trends will rock the consumer durables sector. In the next decade, India will climb seven spots up to clinch 5th position in the world’s largest consumer durables market. By 2020, the market in India is expected to reach a whopping US$ 20.6 billion. Among many reasons that have accelerated this demand growth, the key causes are increasing disposable incomes and easy access to credit. Increasing electrification of rural areas and wide usability of online sales are also aiding the demand. 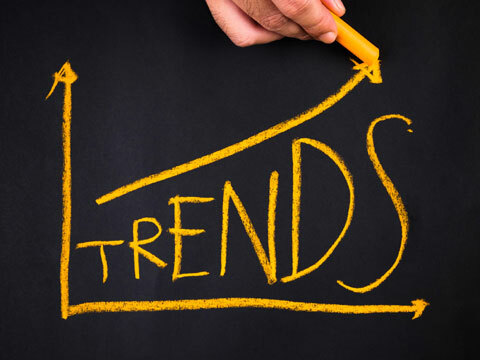 The following trends are expected to add to the increase in sales of consumer durables. With major firms like Micromax, Hindustan Unilever and even Voltas announcing their expansion plans to enter the consumer durables industry, buyers can be assured to see many new products in the market. While Micromax has already announced it would invest $89.25 million to reinvent itself as a consumer electronic company, Hindustan Unilever is not too far behind. Targeting the millennials, it will bring a whole new range of skincare products to India this year. Aggressive price point, year-round discounts on e-commerce, advanced technology becoming cheap and reduced tax rates after GST- price reductions across various consumer durable product segments have been on an all-time high. With Make in India initiative also gaining momentum, domestic and Chinese manufacturers are heavily investing in India. Manufacturing of products is expected to become cheap, which is further expected to reduce the prices of the products. Increase in double-income families and increase in spending capacity has ensured that more luxury brands enter the Indian market. Not only are these brands increasing their presence in malls and high street, they are also bringing their products to e-commerce marketplace. The exclusive brand websites are another attraction to lure more customers. From partnering with e-retailers to offering massive discounts during festivals and occasions like anniversaries and New Year, brands have tapped all sources to reach the consumers. Strategic partnerships with foreign brands and increasing global presence is also said to add to volume of sales this year. From launching energy-efficient products to reducing e-waste and promoting recycling, companies are leaving no stone unturned to ensure that their products promote eco-friendly initiatives. With different state governments also offering perks for eco-friendly products and the increase in consumer awareness will only add to more brands launching environment-friendly products.